Often called sun-prints or blue-prints, cyanotype is a fun and vibrant alternate photographic process in which treated paper is exposed to the ultraviolet light from the sun. Objects are laid on the treated paper and as the sun activates the chemicals the exposed areas of the paper becomes a rich cyan-blue creating, almost by magic, a silhouette image. 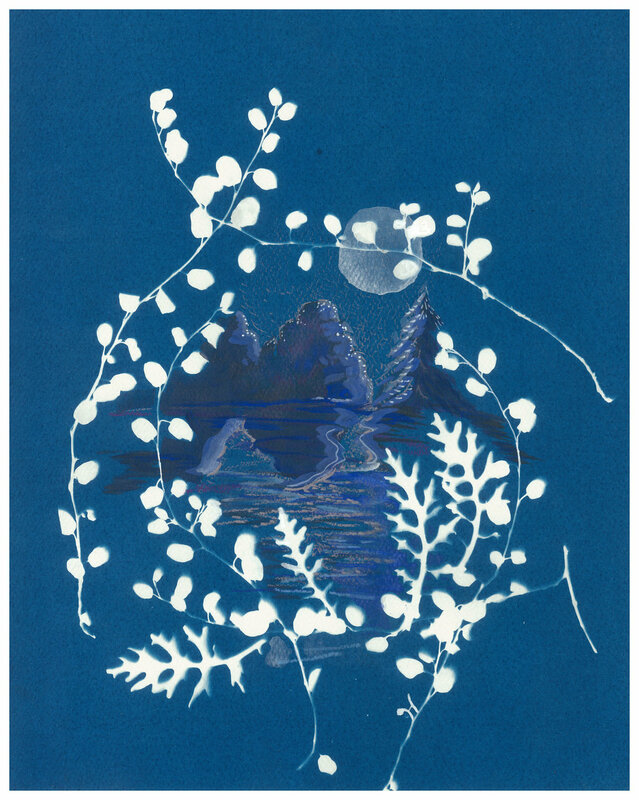 This workshop will focus on all aspects of how to make a cyanotype print; including the curious history of the process, how to correctly mix the chemicals, the use of cyanotype in contemporary art and creating your own prints.